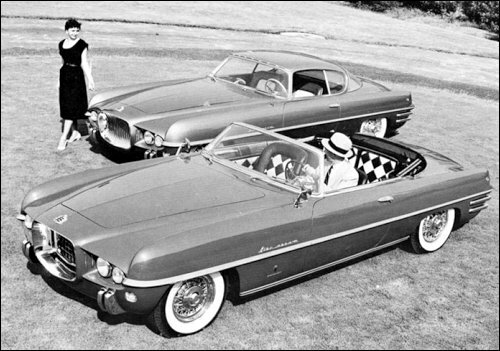 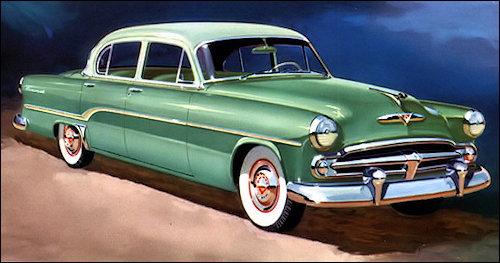 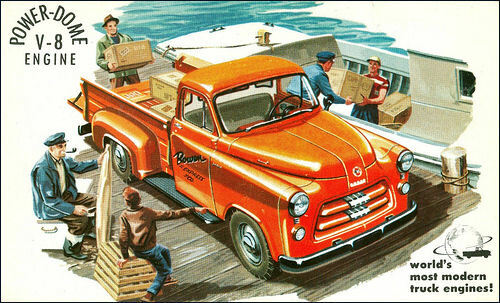 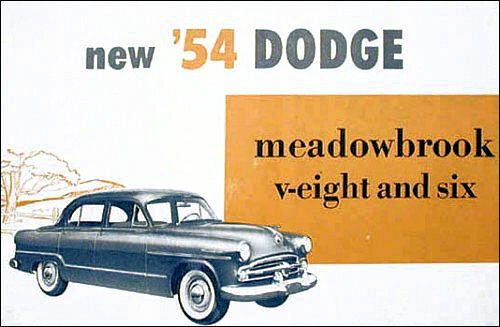 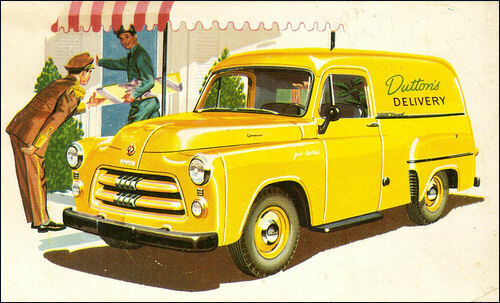 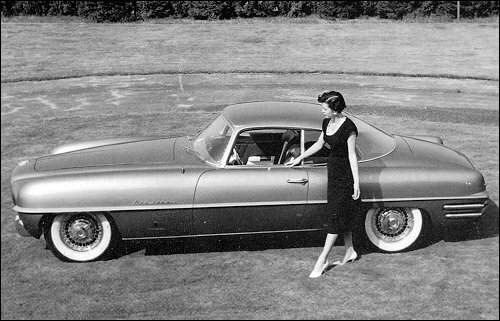 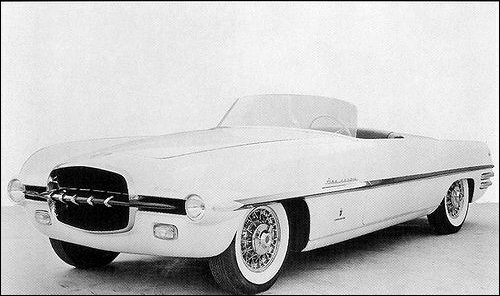 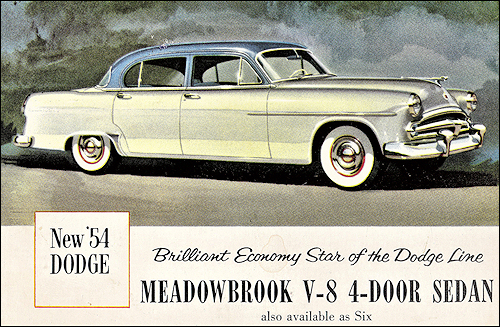 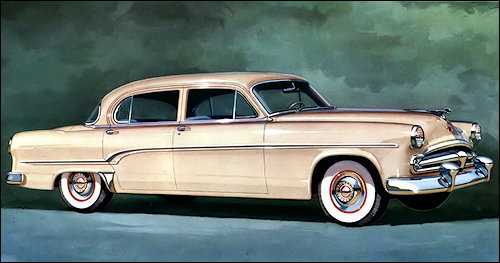 The Dodge of any year is unmistakably a member of the Chrysler family, and the 1954 cars are no exception to this. 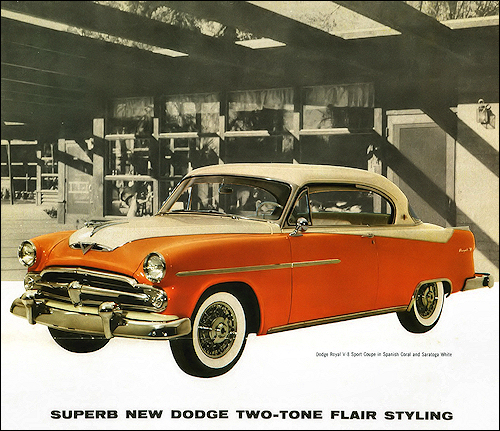 Offered in 20 different models which make up three separate series, the Dodge also comes in 11 new body colors and 14 two-tone combinations that are keyed to harmonize with exteriors. 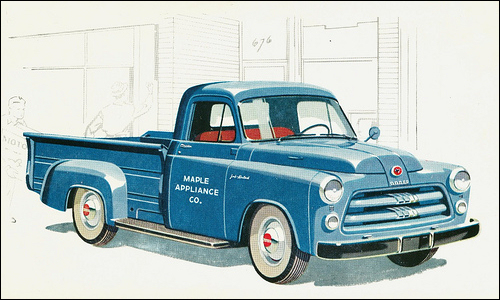 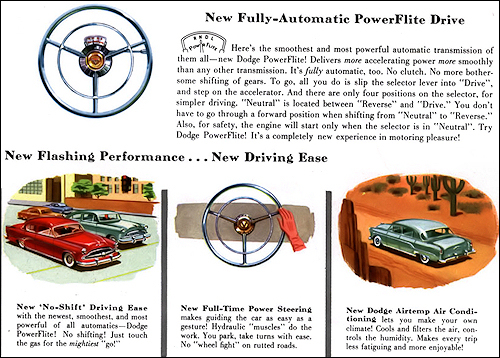 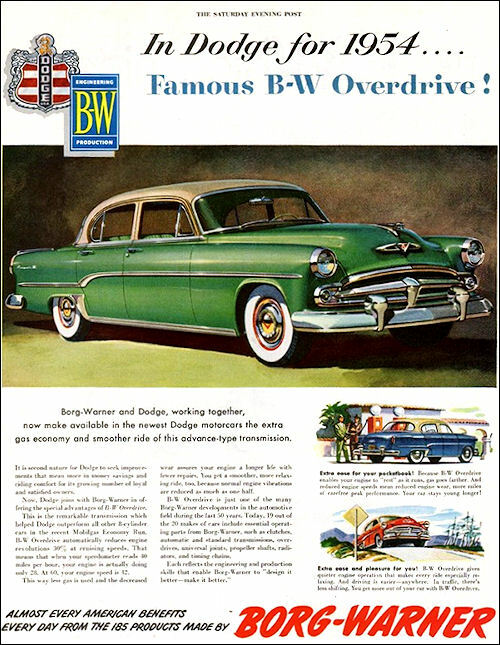 The use of the new Powerflite transmission—claimed 100 lbs lighter than other equivalent transmissions—is far superior to the Gyro-Matic torque converter formerly offered by Dodge but now available only on the six-cylinder Coronet and Meadowbrook models. 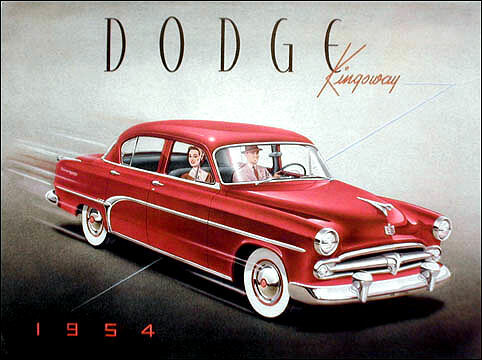 New to the automotive industry in general is the Jacquard long-wearing upholstery fabric now featured by Dodge, but previously used only for rich tapestries and costly furniture. 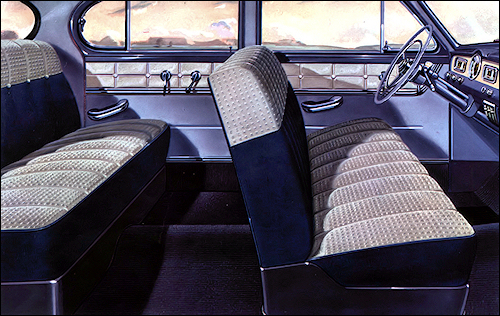 Four-inches greater overall length, new bright metal trim and a revised "four corner contact" seating arrangement constitute recent improvements. 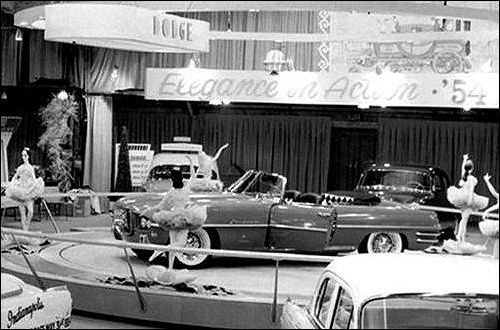 Firearrow at Chicago Motor Show.